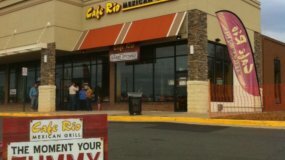 Introducing My Cafe Rio Rewards! 1. Order food from Cafe Rio. 2. We reward you for it. Spend $100 with Cafe Rio and we’ll reward you with a free meal. How do I enroll in the My Rio Rewards™ program? Visit the iOS App store or Google Play store and search for My Rio Rewards™ to download the app. Once the app has downloaded, open it and follow the instructions to create your account. Don't have a smart phone? No problem! Sign up using your PC or Mac by clicking here. Can anyone enroll in the My Rio Rewards™ ? The program is available for anyone over the age of 13. Is there a fee for enrolling in the My Rio Rewards™ program? No way, amigo, it's free! I no longer want to participate in the My Rio Rewards™ program. Can I cancel my account? In the app, use the "help" feature to send us an email or email directly to mobileapp@caferio.com. We'll get things worked out for you. We've got you covered, amigo! Click 'Log In' on the app or website, enter the email address associated with your My Rio Rewards™ account and then click the 'Forgot password?' link. 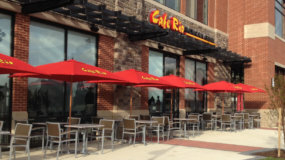 You'll receive 1 point for every $1 you spend on food at Cafe Rio. Every time you earn 100 points you'll automatically unlock $10 in rewards! Your receipt will have a barcode on the bottom that you can use to earn points. Simply scan the barcode with the app or enter the barcode number on the website and you'll get points for your purchase. It's so easy a pinto bean could do it! Can purchases I made before registering for the My Rio Rewards™ program be applied to my My Rio Rewards™ account retroactively? It depends, amigo. If the purchases were made after the program was launched at your location and your receipt(s) has a barcode, you can earn points for those purchases. Barcodes do expire after 90 days, though. If the purchases were made before the program was launched at your location and your receipts don’t have a barcode, unfortunately, we can't award points for those purchases. How do I earn a free meal? You'll receive 1 point for every dollar you spend on food at Cafe Rio. Once you earn 100 points, you'll unlock $10 in rewards to use to buy whatever Cafe Rio meal you'd like. What do I do if I am unable to scan the barcode? Send us a picture of your full receipt via the 'Help' feature in the app or by emailing directly to mobileapp@caferio.com. What do I do if I can't earn points using the barcode on my receipt? Can I share my rewards with my family? 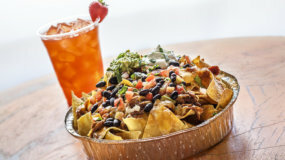 You can use your rewards toward any purchase of food at Cafe Rio. They can't be combined but you can be logged in to two separate devices with the same account. Can I scan someone else's barcode to earn points? No. You are allowed to earn points for only your own purchases. If you scan barcodes that are not from your own purchases, your account will be flagged for fraudulent activity and you may lose access to it. Why didn't I earn points when I bought a gift card? Sorry, amigo, points are only awarded for food purchases. What is the My Rio Rewards™ Program? This is the coolest rewards program around! You'll receive one point for every $1 you spend on food at Cafe Rio. When you get to 100 points, you'll unlock $10! It's just that easy. Plus, you'll no longer have to hunt for your paper stamp card; everything will now be in the palm of your hand. Do you have a terms and conditions I can review? Do I need a My Rio Rewards™ account to participate in the My Rio Rewards™ program? Yep, you'll need to create an account with a username and password. The simplest way is to sign up with Facebook – don't worry amigo, we'll never post anything to your account. Will you share the information in my My Rio Rewards™ account? Nope, cross our heart and hope to die. Not really, but no, we'll never share your information. We offer the app for both iOS and Android devices. How do I refer a friend? What do I get if they visit? In the app, swipe to the right to open the side menu. Click on "Invite Amigos", then click the "share" button and choose how you want to send out your invite code. On the website, click "Invite Amigos" and then click "Send Invite Code by Email". You'll earn 20 bonus points for each friend that signs up using your invite code. You'll receive the bonus points when your friend uses their account to earn points for the first time. Who do I contact with any questions or issues? In the app, swipe right to open the side menu. Click on "Help", choose the option that fits your question, and use the blank email to tell us your troubles. You can also email directly to mobileapp@caferio.com. Why is the app showing me restaurants that are not near me? In case you're traveling around the country - we want to make sure you know every spot you can visit to get some pure Cafe Rio deliciousness! To see locations near you, you'll need to enable the GPS locator/location services in your phone's settings, or you can locate the restaurant closest to you by using the search option. You can also zoom in on the map. We have all kinds of fun ways for you to find us! Does My Rio Rewards™ replace the current paper stamp card I have now? It sure does, amigo. Now you'll get rewarded for every dollar you spend at Cafe Rio! If you have a stamp card, bring it in and we'll transfer the stamps into points so you won't lose anything. What do I get if I have 2 stamps? 4 stamps? a full card? You'll get a free meal for every 10 stamps and then we'll transfer any leftover stamps into points so you won't lose anything. What if I have 3 cards that all have stamps on them? You can turn in any combination of stamp cards. You'll get a free meal for every 10 stamps and then we'll transfer any leftover stamps into points so you won't lose anything. What if I'd rather keep my card and the stamps? The paper stamp cards are being replaced with My Rio Rewards™ and our locations won't be giving out stamps once they start using the new program. When are you doing away with the stamped cards? It depends on where you're located, amigo. My Rio Rewards™ will be live in every Cafe Rio location by the end of 2016. Do I get a free meal like I do with the stamp card? Every time you earn 100 points, you'll unlock a $10 redeemable reward. FREE MONEY! Will my stamps transfer to points in My Rio Rewards™? Yep! We'll collect your stamp cards at the register. If you have 10 stamps, you'll get a free meal and then any leftover stamps will be transferred into points. Your receipt will have a barcode on the bottom that you can use to earn points. Simply scan the barcode with the app or enter the barcode number on the website, and you'll get points for any purchase plus for the stamps you turn in. Easy peasy! How do I opt out of notifications or offers? In the app, swipe right to open the side menu. Click “Account Settings” and then set your preference using the toggle buttons at the bottom of the screen. Nope. Every 100 points you earn will automatically convert into a $10 redeemable reward. 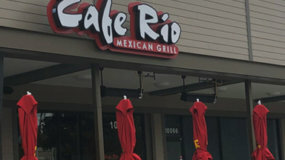 The reward is yours to use towards a food purchase at Cafe Rio, but you aren't able to get cash back from your purchases when using your rewards. On the online order screen you'll choose from the available pickup times and our team will get to work so your food will be ready and waiting for you. When you place your online order, you'll choose the pick-up location. What if I need to make changes or want to cancel my order? If you need to change your order, call the restaurant. If you've placed an online catering order, you'll need to contact our Catering Call Center (1-800-CAFE-RIO) for assistance. Please note that catering orders that are scheduled to be completed within the next 8 hours may not be able to be altered. Choose wisely, amigo! Will my online ordering account transfer into the app? Will it keep my order history? Preferences? It sure will! You'll need to log in to the online ordering screen of the app with the same user name and password you've been using for online orders and your order history and preferences will all be there. Please note that your app account and online ordering account are not linked and they each require their own login credentials. Can I use My Rio Rewards™ for catering rewards? Yes! If you already have a catering rewards account with our old program, log in to the My Rio Rewards™ app or website using the email address and password registered to your catering rewards card; any existing rewards are already transferred for you! If you don't have a catering rewards account, simply create a My Rio Rewards™ app or website account and you'll be on your way to earning free food! Please note, unfortunately, we aren't able to process rewards towards the purchase of catering orders at this time. How will I earn points and rewards? You'll receive 1 point for every $1 you spend on food at Cafe Rio. Every time you earn 100 points you'll automatically unlock $10 in rewards. Your receipt will have a barcode on the bottom that you can use to earn points. Simply scan the barcode with the app or enter the barcode number on the website and you'll get points for your catering purchase. Easy peasy! Unfortunately, we aren't able to process rewards towards the purchase of catered orders at this time. Will I need to re-enroll for catering loyalty rewards? Nope. If you already have a catering rewards account, log in to the My Rio Rewards™ app or website using the email address and password registered to your catering rewards card; any existing rewards are already transferred for you! Will I lose any credits / points I already earned? Nope! If you already have a catering rewards account, log in to the My Rio Rewards™ app or website using the email address and password registered to your catering rewards card; any existing rewards are already transferred for you! Do I get rewards for buying catering? Yep! 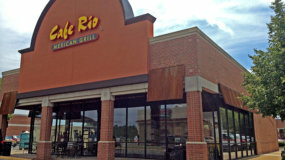 You'll receive 1 point for every $1 you spend on food at Cafe Rio. Every time you earn 100 points you'll automatically unlock $10 in rewards. Please note, unfortunately, we aren't able to process rewards towards the purchase of catering orders at this time. Can I still give the call center representative my loyalty number to earn rewards? The Catering Call Center Team will not be able to give you loyalty points over the phone. They can however still take your order! You will need a My Rio Rewards™ account to continue to get rewarded for your catering orders. I made an eligible purchase at a Cafe Rio restaurant but it is not reflected in My Rio Rewards account. How do I resolve that? It will give you the greatest possible experience, amigo! Using Facebook, we can reward you and your friends with lots of cool swag for simply using the app. You can share your views, get points for referring friends, and even recommend your favorite meal and location to your amigos. We do not access or store your Facebook login and will never auto-post on your wall...unless of course you want us to. No way, amigo, we'd never post to your wall, unless of course, you want us to; you have all the control. We will access your general information and the email address associated with your Facebook profile. 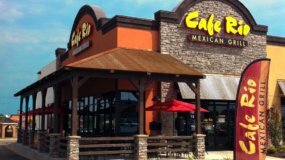 We use your location to help you find the Cafe Rio nearest to you. What is the benefit of being a My Rio Rewards™ member? There are so many advantages, it's tough to name them all! You'll get free food, you'll receive offers and news, and the best part is, you no longer have to worry about whether or not you remembered to bring your stamp card. You can pay with electronic gift cards, receive bonus points for referrals and so much more; your head might just explode with all the opportunity you have in front of you! You refer a friend to My Rio Rewards™ by sharing your invite code. Once your friend creates an account using your invite code and uses the account to earn points for the first time, you'll receive 20 bonus points! Where can I find my referral or invite code? In the app, open the side menu by swiping right or pressing the 5 bars in the upper left corner; your invite code is located under your email address. On the website, click 'invite friends'; your invite code is displayed on the page that opens. How do referrals work if I don't sign up for My Rio Rewards™ using Facebook? No worries, amigo! If you're using the app, you'll be able to send your invite code via text or email. If you're using the website, you'll be able to send the code via email. This app sounds amazing, but I don't have a smartphone...can I still get rewarded? The My Rio Rewards™ app also has a web-based solution! Visit myriorewards.com to create an account. Once your account has been created, you can earn points using the bardcode number on the bottom of your receipts and manage your rewards and offers, all from the comfort of your own home. Too much hassle? Enter your phone number during the sign-up process and then all you have to do is give your number to the cashier. They can make sure you earn points for your purchases and let you know when you have rewards or offers you can use. Every 100 points will automatically convert to a $10 redeemable reward. In the app, click "Redeem" on the "Rewards" tab. The cashier will scan the QR Code on your phone and any available balance will applied toward your purchase. No phone, amigo? No worries! Simply log in to your account on the website, click 'Redeem Rewards', enter the amount you'd like to use, and click "Redeem". Give the cashier the 6-10 digit redemption code and it will be applied toward your purchase. You can also add your phone number to your account so the cashier can look up your account at the register and redeem your rewards. How will I redeem my rewards? It's easy peasy, amigo! To redeem an available balance using the app, press "Redeem" on the Rewards tab and have the cashier scan your QR code. Any available balance will be applied toward your purchase. To redeem an offer using the app, open the News & Offers tab, click the offer you'd like to redeem and follow the instructions to generate a QR code for the cashier to scan. To redeem an available balance using the website, click "Redeem Rewards", enter the amount you'd like to use, and click "Redeem". Give the cashier the 6-10 digit redemption code and it will be applied toward your purchase. To redeem an offer using the website, click "Offers", select the offer you'd like to use from the drop-down menu, and click "Redeem". Give the cashier the 6-10 digit redemption code and it will be applied toward your purchase. You can also add your phone number to your account so the cashier can look up your account right at the register and redeem your rewards. Do I have to use all my rewards at once? What about offers, like a $5 credit? Rewards and offers are two different things, amigo. Rewards are automatically earned every time you hit 100 points. When you redeem your rewards, all rewards, up to the purchase price of your order, will be applied towards your purchase. Any remaining rewards will go back in your account. Rewards don't expire, and you don't lose what you don't use. Offers, like a free drink or BOGO coupon or a $5 or $10 credit, etc., generally have an expiration date and are one-time use only. If it's a credit towards your purchase but you don't use the full amount of the credit, the remaining balance is not available to use because it is a one-time use offer and you lose anything you don't use. 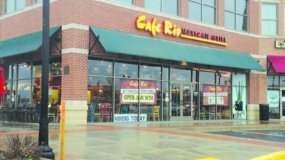 Your Rewards Points will expire if you have earned 99 Rewards Points or less and there has been no activity on your Cafe Rio App account for a period of 180 calendar days. If you have earned 100 Rewards Points or more, your Rewards Points will be banked and will not expire. When we send you specific offers (free drink, BOGO, $5 credit, etc.) however, those will expire. What if my purchase doesn't use all my reward? No problem. Any unused portion will go back into your account. Can I receive cash back with My Rio Rewards™? No, all remaining balance will return to your app account. Can I use a My Rio Rewards™ coupon together with another coupon? You can redeem multiple My Rio Rewards™ coupons or offers in a single transaction, unless stated otherwise. Can more than one offer be redeemed at a time? My barcode numbers starts with 99999 and won't allow me to earn points, how can I add them? How do I pay for an order using a gift card I loaded in the app? Click the 'gift card' tab and then click the gift card you want to use. The gift card will flip to show a QR code which the cashier can scan at the register to pay for your meal. We don't store your information, amigo. Once your transaction clears, your information heads to the great black hole in the sky. In other words, it disappears and there's no way for us to access your credit card info. Can I store multiple forms of payment to purchase a card? We don't store any of your credit card information in the app. You will need to input in your card information each time you make a purchase. Can I add money to a gift card I purchased in the app? Of course, in fact we'd love you too! Click the 'gift card' tab, select the gift card to reload, click 'reload' then follow the prompts to add a balance to your gift card. Can I add a physical gift card to the app? You sure can, amigo! Click the 'gift card' tab, click 'add card' in the upper right corner, click 'add physical card', enter your gift card number and pin and you're off to the races. How do I review my gift card transaction history? Once you're in the gift card tab, select the gift card you want to review and then click 'manage'. From here you'll be able to view your history and transfer or share the card with another app account. What do I do if the QR code on my gift card doesn't scan? Make sure the brightness on your phone's screen is turned so the scanner can read the QR code. If that doesn't solve the issue, the cashier can manually type in the gift card number at the time of your transaction. Will I lose my gift cards if I get a new phone? Nope! Simply download the Cafe Rio app to your new phone, sign in using your existing username and password (or login with Facebook, if that's how you previously created your account), and everything will be right where you left it. How do I share a gift card with my friends or family? Head to the 'gift card' tab, select the gift card you want to share, click 'manage', click 'share', click the 'share' button, enter the email address registered with your friend or family's app account, and just like that, you've shared your card. Please note, your friend or family member will need to have the Cafe Rio app in order to use the gift card you've shared with them. How do I transfer a gift card to a friend or family member? Head to the 'gift card' tab, select the gift card you want to share, click 'manage', then click 'transfer'. Select 'other' if you'd like to transfer part of the gift card balance, or select 'full' if you'd like to transfer the full gift card balance, then click 'transfer'. Enter the email address registered with your friend or family's app account, and just like that, you've transferred your card. Please note, your friend or family member will need to have the Cafe Rio app in order to use the gift card you've transferred to them. How do I remove someone who is shared on one of my gift cards? You can easily remove someone by heading into the 'gift card' tab. Under the card that you shared, you will see a garbage can icon next to the the person's name; click the icon and you'll receive a message confirming your choice to remove a user. What do I do if I forget my gift card passcode? If you forget your gift card passcode, click 'manage', click 'security', then click 'reset passcode' to receive an email to reset your passcode.